Designed with all of Canterbury’s expertise in creating flexible and robust training gear, our gym short has an elasticated waist and highly flexible construction, allowing it to stretch in every direction to suit the body’s movement during exercise. And as well as gym wear, it works equally well as supporters wear, because it’s also part of Canterbury’s 2019 Black Caps training range. That means it comes with the New Zealand team’s official insignia on the left leg, identifying the wearer as a genuine supporter. 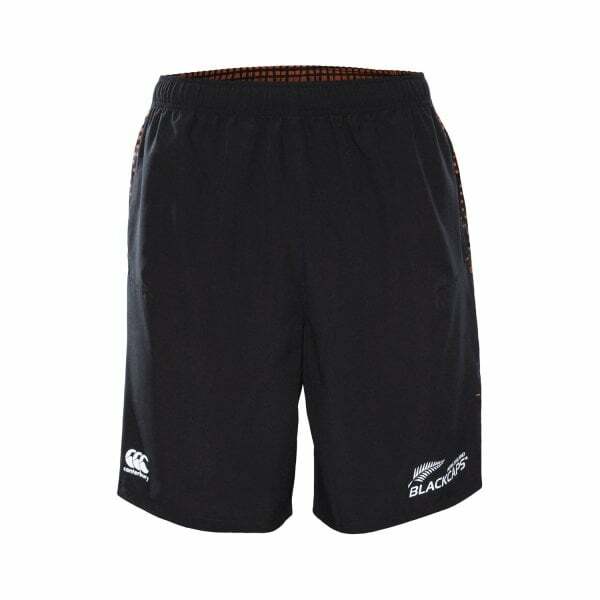 A great gym short with some awesome credentials; get yours now from Canterbury while stocks last.